CBIB, a 501(c)3 charity, has buried babies unclaimed, abandoned, thrown away in the trash. 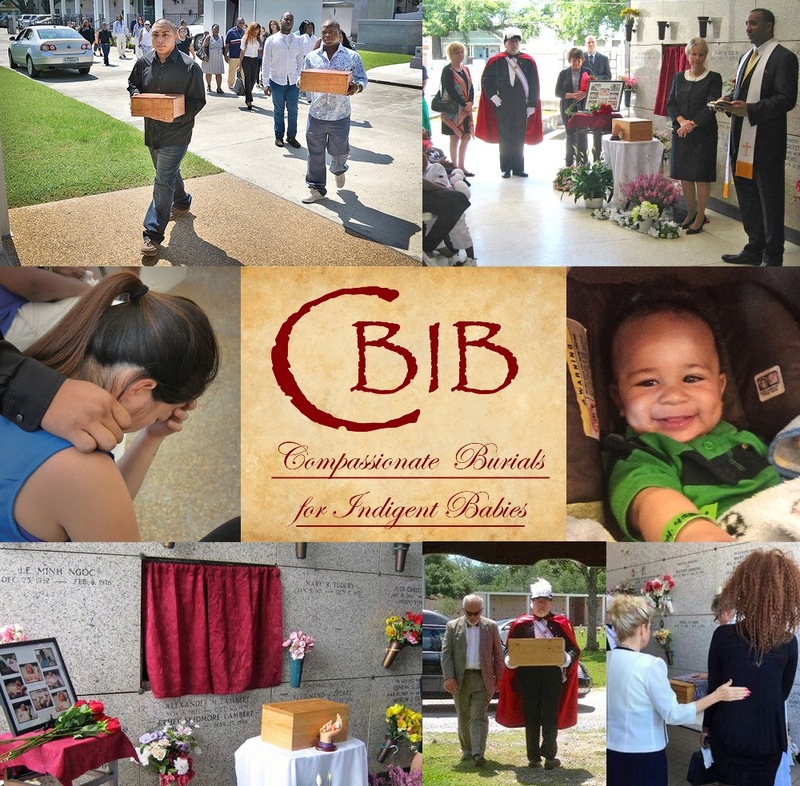 CBIB buries babies for families who can not afford a burial/funeral after the loss of their baby. We have provided a valuable service for communities in Louisiana such as New Orleans, Slidell, Shreveport, Hammond, St. Rose, Thibodaux, Covington and surrounding areas. 1. 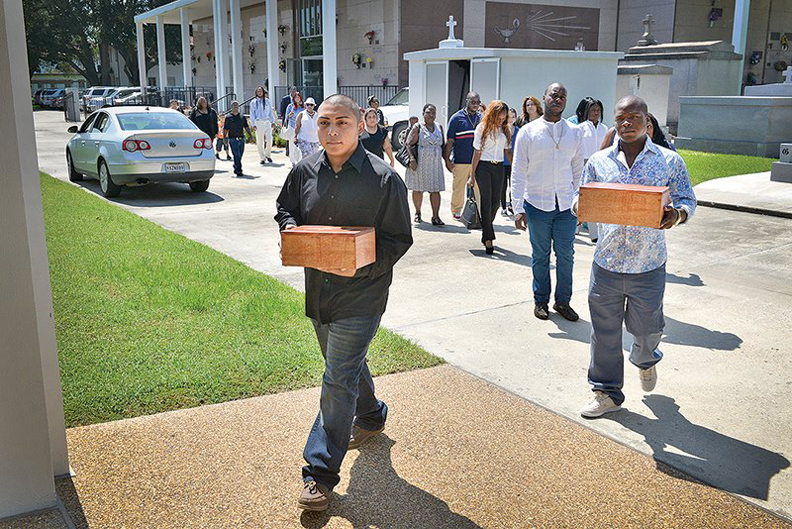 To hold dignified burials for abandoned or indigent babies. 2. To bring comfort to their families. 3. To raise awareness of the Safe Haven Law so babies won't be thrown away. CBIB Compassionate Burials for Indigent Babies The funds we are asking for would go towards the free funerals and burials we provide for indigent families who have lost a baby. As everyone knows, a funeral can be costly, and there are families who are not able to bury their little loved ones who have passed. With the grant received, we will be able to pay for the burials. We receive continuious calls for help and therefore, we bury babies on a monthly basis. In 2014 we have buried 21 babies, in 2015 we have buried 19 babies, in June 2016 we have buried 19 babies so far and these numbers continue to grow. We would greatly appreciate the help and the generosity of this gift would help multiple families in need. For more information please visit our website: www.cbibinc.com. This was said at the funeral we had March 28, 2018 for 2 babies, one was 7 months in gestation and the other was an aborted baby. The family for the 7th month baby girl ( Kirastin) was there at the funeral but no one was there for the other baby that we named Betty Jane. First of all, we are sorry for your loss. It is terrible to loose someone you love, and you loved this little one the moment you found out that you were pregnant. I too have had this kind of loss and it hurts and our hearts go out to you and your family. Even though you have this loose, your love never dies. There are a great many people who have been forgotten. I am talking about the Holy innocence. Children lost in miscarriage or abortion. Who are they? Our sons and daughters. Many were never buried, like mine. I lost a baby to miscarriage and didn't think of burial. I didn't know it could be an option. But because of that event in my life, I formed this group CBIB - Compassionate Burials for Indigent Babies where we have buried aborted, abandoned, murdered, thrown away in the trash babies. We have buried babies who were only 2 inches in length to 2 years old. All are human life. All deserve a dignified burial. About five years ago, I found out that babies under 20 weeks gestation are thrown away in Hospitals. They are picked up by medical waste and disposed of like trash. They are also called "Products of conception." This is a term for human life, I loath. They are human beings. Many were never given acknowledgment of their short life. Where are they? In God's keeping, but they are not without purpose. Somewhere, somehow, God will show us what they were for and what we are for. Our loving Father's ways are not our ways, but we trust in him. Oh Lord, we surrender and give ourselves to you, for you know the way and you can show us. Help us to value all human life in all it's forms. Help us to honor them. Help us to be thankful for the fleeting moments you have allowed us to live. Help us to be kind and thoughtful to the lowly and not disregard the smallest of people and think of them as insignificant. Maybe these are forgotten souls that I speak of, but believe me, no mother ever can forget. With help, CBIB went to the capital and got a law passed in Louisiana that state that a woman has the right to bury her baby (even if it is at the stage of a fetus). Hopefully we can get this law into every state. This week a woman called me, whom I didn't know. She proceeded to tell me of her abortion. My heart sank. She explained her pain and suffering of her loss that she experienced which was destroying her life. Then she told me of how she came to God and could feel his forgiveness and so was able to receive healing for the sin of abortion. She went to Rachael's Vineyard for help. When one looses a child in miscarriage or abortion this is a huge event in ones life. As a mother can feel an empty womb which was once full with life. Her babies life. Now there is an empty space a whole in her heart, grieved and can no be consoled. A sadness that can lead to death for those without faith. Despair and depression, eats away at any joys of life. Mental illness is often followed as symptoms. There is a torment that brews through the years, if not dealt with honestly. But with God, He can create all things new. I don't dare minimize the sin of murder here when talking about abortion. But where there is repentance, God's love, grace and mercy is greater than any sin we have committed. I for one, will open wide that door to anyone who seeks God's love, mercy, and forgiveness. This is important in this day and age where so many women have walked this road that leads to death. But we have good news for woman who have traveled the halls of hell. Our Good News should be shouted from the highest mountains tops that nothing we do will ever separate us from the love of God! For he is greater than any sin we commit. He welcomes us into the inner chambers of his heart and that is where we can find our healing. He welcomes us in the inner chambers of his heart and that is where we can find our healing. He waits for us to decide to run into his open arms. But it is your choice. We have free will. Our Lord is a gentleman. He does not force us. He patiently waits for us. Nothing is impossible for God. So if I am speaking to you, go find Jesus, he is the friend of sinners. He alone can help you in your pain and suffering. John 10:10 Jesus said, " The thief comes to steal and destroy, but I have come to give LIFE and give it abundantly! " Please consider donating. Your generous contributions help us serve our community. REMEMBERED AND NOT FORGOTTEN WE BELIEVE ALL HUMAN LIFE IS PRECIOUS AND DESERVES A PROPER BURIAL CBIB - Compassionate Burials for Indigent Babies is going to have a funeral Wednesday, February 27 The funeral is for a baby whose mother went to the emergency room for an over dose of drugs. She was 8 months pregnant. The mother survived but the baby didn't. The baby weighed 8 pounds. It was a girl. The mother refused to name her, so CBIB named her Mia. The name Mia is Latin for "mine." Isaiah 4:31 "Do not fear for I have redeemed you. I have summoned you by name and you are mine." The mother was not interested in burying her baby either or having anything to do with her. So we will bury this abandoned and unwanted baby. CBIB also has a husband and wife that hand makes the coffin and the baby's clothes. They are clled dignity wear. The clothes are made from wedding dresses that were donated. Our group will have a respectable funeral service and burial, complete with songs, flowers and prayers to honor this little life. CBIB exists only by contributions like yours. If you would like to donate for this cause please see below. Thank you. Whatever you do for the least of these little ones, you have done it for me! In the New Orleans Advocate: The Rev. Angel Diaz blesses Huber Avila on Wednesday August 15, 2018, during funeral Services for his 1-year old son Aaron Avila first birthday-after suffering a crushed skull and bruising on the length of his back to his buttock. 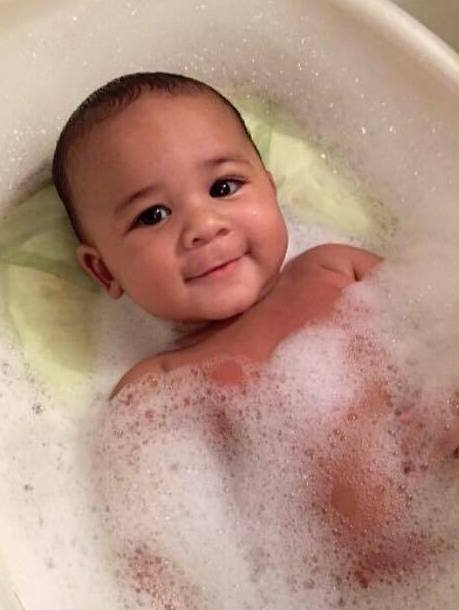 The boys mother, 21 year old Jennifer Avila, has been charged with obstruction of justice for lying to investigators while her live-in-boyfriend, Fernando DaRocha 28, is facing 1st degree murder charges in the alleged brutal beating death. 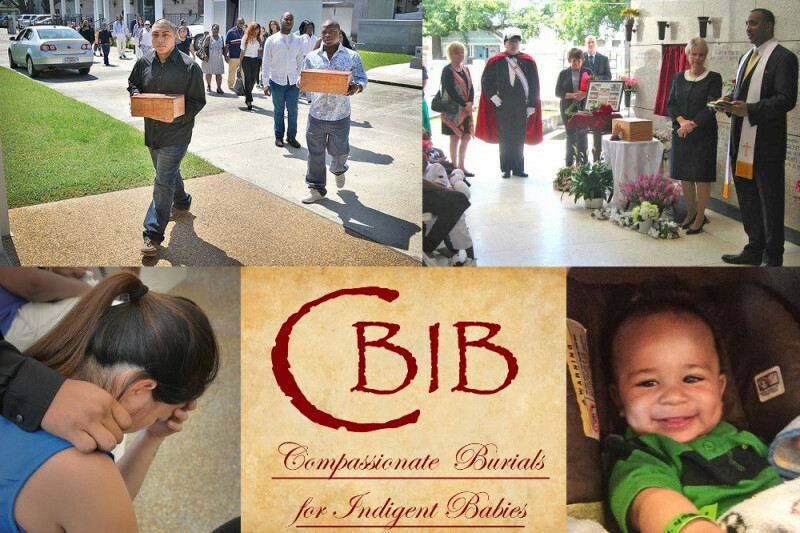 The Funeral at St. Patrick's Cemetery #1 in New Orleans was arranged and paid for by CBIB Compassionate Burials for Indigent Babies, a non profit that provides a dignified funeral and burial at no cost for families in need. 11 ABANDONED BABIES July 25, 2018 CBIB Compassionate Burials for Indigent Babies will be having a funeral for 11 babies. Ten babies were still born and left at the hospital. Baby lived 10 hours. We do not have the story of what happened to each one, but we do know that sometimes parents don't have enough money to bury their baby, so their baby is left at the hospital. Also, it is important here to say that CBIB tries to not judge in the circumstances of the deaths of children. We just do our job and bury each one in a respectful manner. We pray for peace for those who are unclaimed and for their parents. CBIB believes that we were all created equal and that all human life is precious and deserves a dignified burial. We are trying to raise funds for this funeral. Thank you. In memory of Bill Hegmann. We thought the world of your dad and feel privileged to honor his memory by donating to this Charity. In Memory of William ‘Bill’ Hegmann as requested by his family in lieu of flowers. His life was celebrated this past Friday. His legacy of 86 years is one of love and compassion for others.